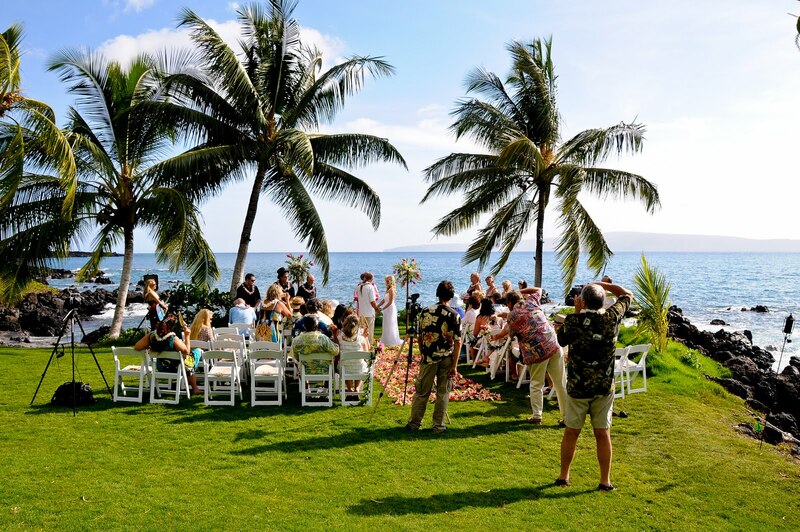 The Makena Oceanfront Estate Wedding location is a beautifully landscaped private gated property in South Maui. The Estate is perfect for wedding groups of 50 - 200 or more. A modest 5 bedroom house on the property is available for you to get ready on your wedding day. The large oceanfront lawn can accommodate up to three large tents and has an existing gazebo by the ocean. Weddings can take place during the day or at sunset. The fee for over 50 guests is about $3000 plus restrooms & coordination.